So you’re preparing for your Michigan driver’s license reinstatement hearing. You’ve taken the time to get and stay sober after multiple DUI convictions, filed all your relevant paperwork, and are now awaiting the all-important hearing. The hearing is one of the most critical parts of the driver’s license reinstatement process. It’s your chance to present your entire case and demonstrate why the state should trust you to legally operate a motor vehicle again. Since it’s so important to your chances of obtaining a driver’s license, you must take the time to prepare with your legal representation and make sure your case is solid before heading into the hearing. Even just a few simple steps can give you a much better chance of presenting your case in the most favorable way possible. A proven driver’s license reinstatement attorney can be invaluable in helping you get ready for this major step. Here are a few of the ways in which they can (and should) help you prepare. 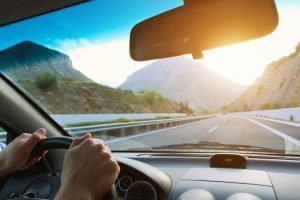 In order to secure a driver’s license reinstatement hearing in Michigan, you must first submit paperwork that supports your claims of sobriety and of your ability to safely operate a vehicle within the law. These forms make up the basis of your case, and may be referred to several times throughout the hearing. So it’s a good idea to have a clear understanding of everything you submitted and all the evidence that may become relevant throughout the course of the hearing. For most individuals, attending a hearing isn’t an everyday practice. You don’t want to be caught off guard by any directions, questions, or procedures that come up throughout the process. To get a better feel for what to expect, sit down with your driver’s license reinstatement attorney, who has likely been through the experience many times. They can walk you through the entire hearing so you know what is likely going to happen in every step. This helps you to be better prepared throughout, giving you a better chance of providing the information the hearing officer is seeking and presenting your case in the best possible way. At your hearing, you will need to testify as the petitioner. So before even going into the room, you should have at least a basic understanding of what to say, so you can give the court all of the information they need to make a proper decision. This is not about rehearsing answers word-for-word, but simply being able to anticipate questions or talking points so you can make sure to include all the relevant details of your case. Since many petitioners may be nervous, it can sometimes be difficult to come up with responses on the spot with no preparation. So a basic walk-through of potential questions with your attorney can be a big help. In some cases, others may be called to testify as well. So you can also prepare by going over what to expect in those testimonies.